So, things have been moving FAST, and we have been trying to get ready for winter that was predicted to come early, and it did! Winter is already here! That is why I am finding time to post some old stuff, I really can't do much at all outside with the snow covering everything. The Aborted Entoloma fungi had me intrigued and bewildered for a week or two. 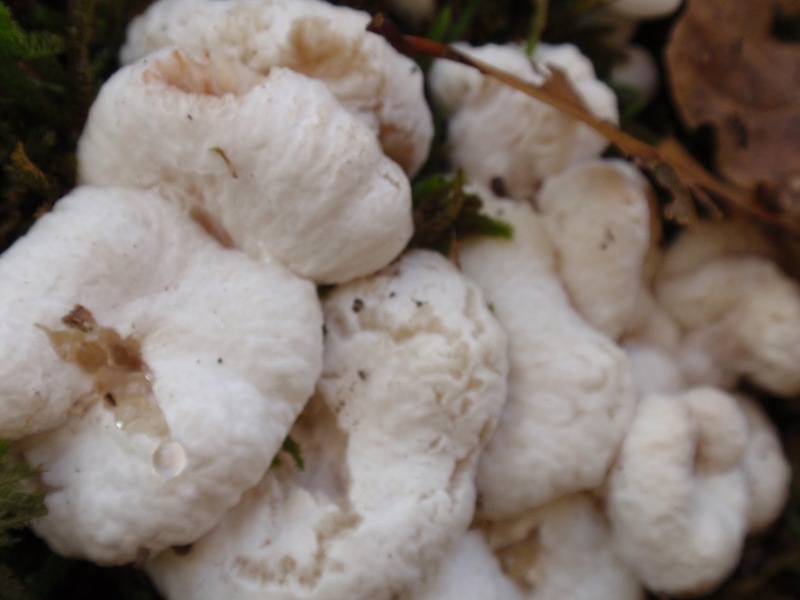 I kept googling things like “packing peanut fungi” and “puffball fungi look a likes” and all kinds of things, but I never stumbled across anything that resembled these things. So I emailed some pictures to the department of conservation and the next day my answer was waiting for me. That brought about more searching and reading and I realized that these little “popcorn” (if only I would have researched popcorn fungi) looking fungi were edible!! This is very exciting for more than one reason, but the number one reason is we have a HUGE crop of them and number two there are no look a likes! Number three, I read the description of their flavor as nutty, sweet, and one even said they were similar to the lion’s mane! I could go on but I think we get it…I’m pretty happy and very excited about this new finding. So, only harvest the ones that are hard, not squishy or spongy. Only harvest the ones that are pretty clean already, because they are a bugger to clean. Cut off the base or root part while you harvest. And… dry sauté then add oil once juices start to release. Oh and as always with a new mushroom, only eat a little bit to be sure your system has no negative reactions. Sounds simple enough. I thought I would be finding a billion of them once I started looking, and I did, however most of them were very soft and would almost explode with the amount of liquid they had in them. So, I only picked a few and I cleaned them and cooked them up that night. They were good, I didn’t think they tasted like the lions mane that we had just a week or so ago, and I didn’t get much of a nutty flavor either, but the sweetness was a better description in our case. 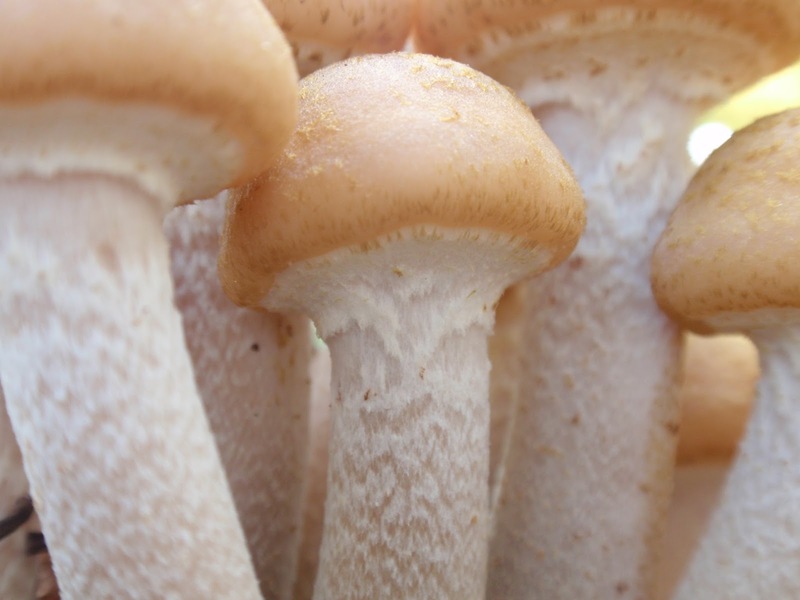 They tasted like a yummy sweet mushroom to me. Glenn agreed, so we eat them a few more times and we eat more the next few times because we felt our system was happy with them, and no bad reactions. 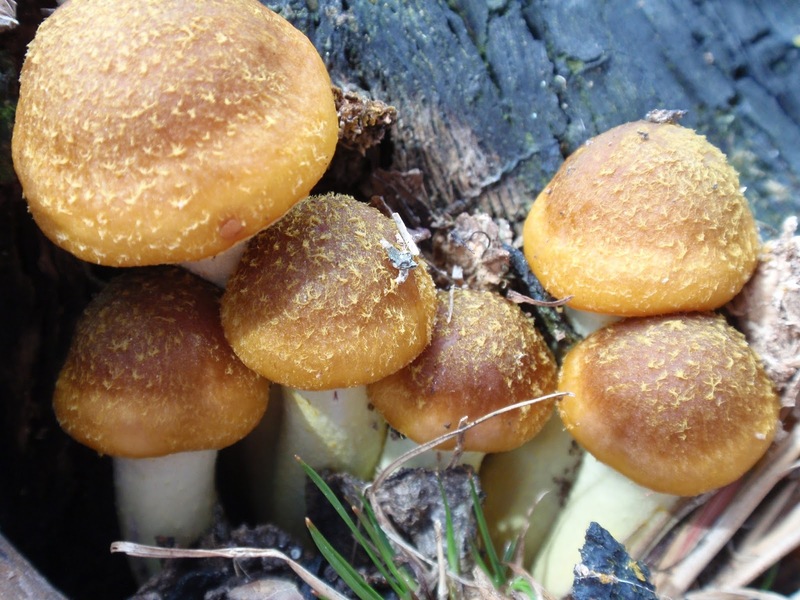 We also found honey mushrooms (Armillaria mellea), which have poisonous look-a-likes too. More research and spore prints and observing and smelling . I like to be 110% sure of mushrooms identity before trying it. So, I was and I did try them, I suggested that Glenn pass simply because I had read that some peeps did has negative gastric response to these. I had no negative symptoms, so I think Glenn will be trying them next year. The following information is all according to All That the Rain Promises, and More… by David Arora and my photo’s added to show my research findings. -it grows in clumps on trees, logs, and stumps. -gills are white to yellowish or flesh-colored but not brown. -gills slightly run down the stalk. -stalk is tough, long with a white stringy pith inside. -veil present, at first covering the gills, then forming a ring on the upper stalk. 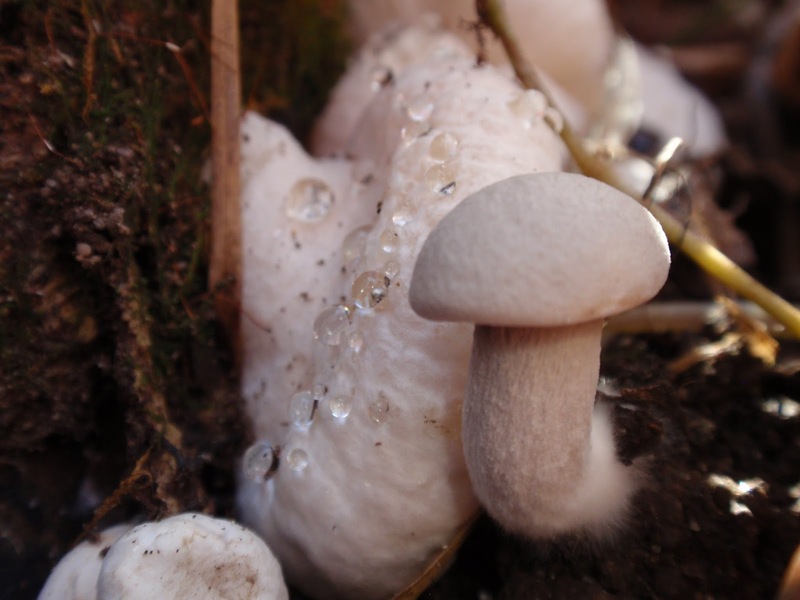 Note: this is the only clustered white-spored mushroom that grows on wood and has a ring plus stringy white pith in the stalk. Isn’t that great information! Thank you Nancy for this awesome book! I eat these honey mushrooms with quinoa and roasted red peppers. Yumm! I want to be and old mushroom hunter someday.